BASIC TRAINING is centrally located in downtown Scottsdale. 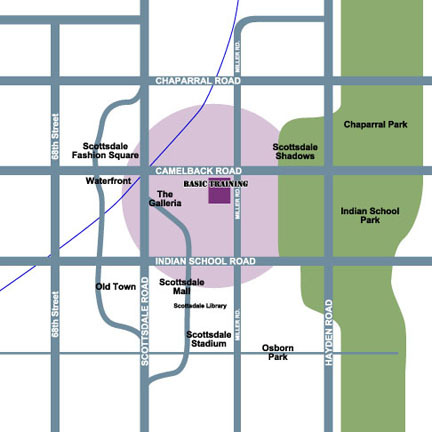 We are a five minute walk from Scottsdale Fashion Square and the Scottsdale Waterfront. We are a three block / seven minute walk from The Scottdale Civic Center and Scottdale Library. 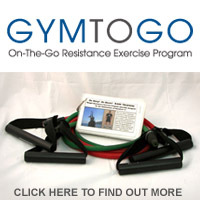 Basic Training is the PERFECT location for your very own private gym in the Downtown Scottsdale area. Located on the Southwest corner of Miller Road and Camelback. We are in between the Sprouts Supermarket and PetSmart in the Miller Plaza shopping center.